Buddies arrive 20 minutes before group report time. Wait in lobby and performers will be brought back out to the lobby. Approximately 30 minutes. It's SPECTRUM ART WEEK - Please browse the artwork in the lobby. Saturday, April 6, 10:00 AM - Noon. THIS IS IN THE MORNING. NOT OUR REGULAR REHEARSAL TIME!!!!!! EXTENDED REHEARSAL - 2 hours! Regular clothes. No show t-shirt. 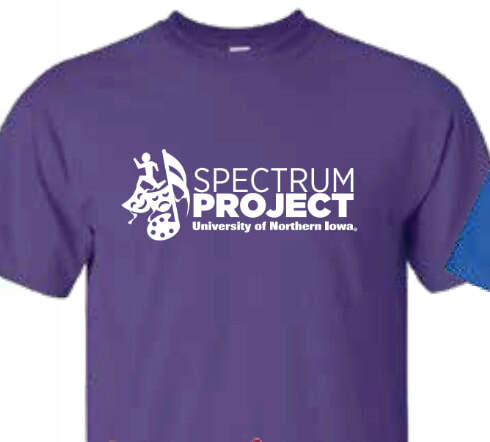 Performers wear their Spectrum show shirt and anything they want to go along with it. Admission and parking is free and open to the public. PLEASE SPREAD THE WORD. THESE KIDS ARE AWESOME!!! (I know you knew that already). Performer pick-up after the show will be in the lobby. Buddies will be available for photos. The show will recorded and available online. You can sit back and enjoy the show. Spoiler alert - There will be a balloons dropped during the show, but they are Latex-free. No live stream. Due to the use of copyrighted music used during the show, the show can not be live streamed.